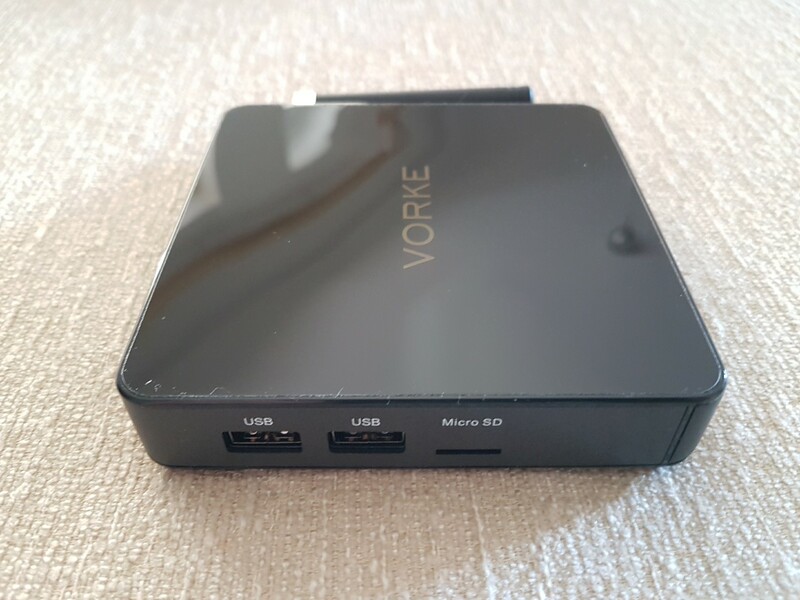 The last time we reviewed a Vorke product was for the V1 model which was the best windows mini PC we reviewed. 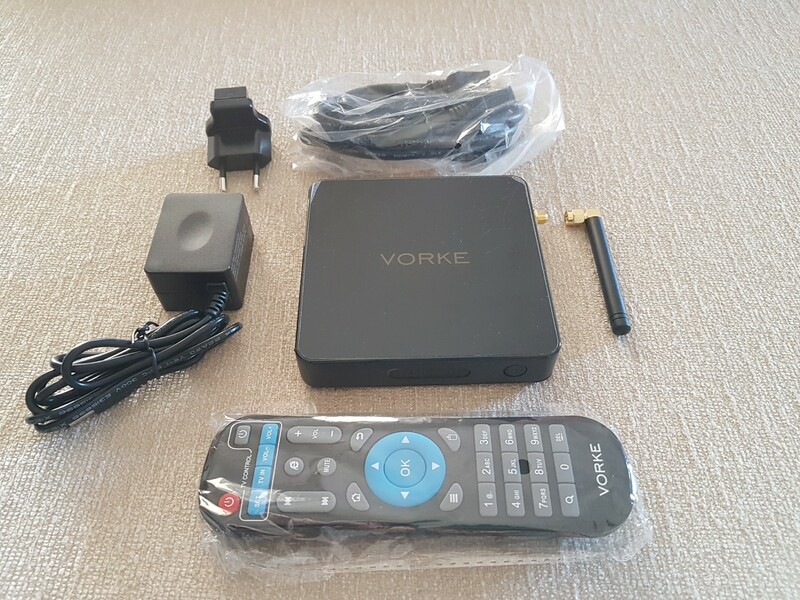 Vorke Z1 arrived in a small white box. Inside you will find the media box itself, the remote controller, the power adapter, an HDMI cable, the detachable Wi-Fi antenna and a quick start manual in English language. Once again you will find no batteries inside for the remote. 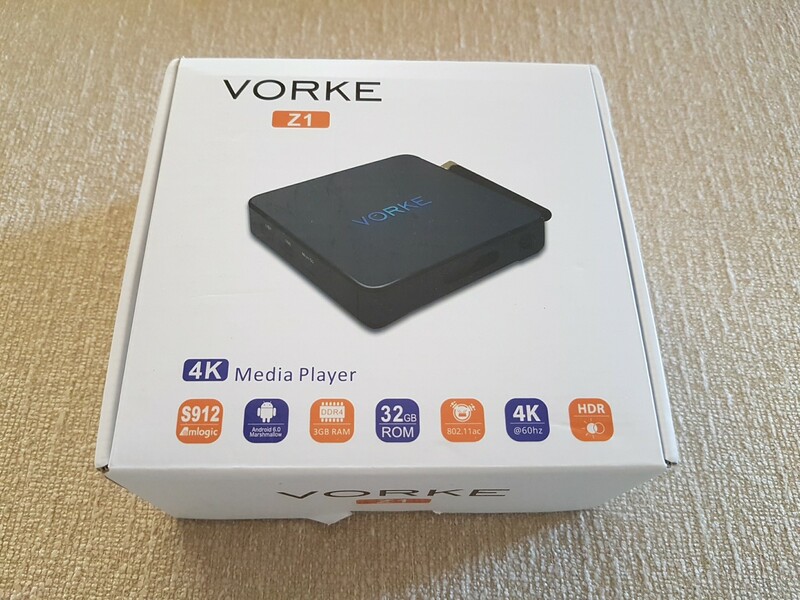 Regarding specifications, Vorke Z1 goes a step beyond from the majority of its competitors. It is equipped with 3GB DDR4 RAM / 32GB eMMC 5.0 ROM that promise much better multitasking and effortless playback of media files. 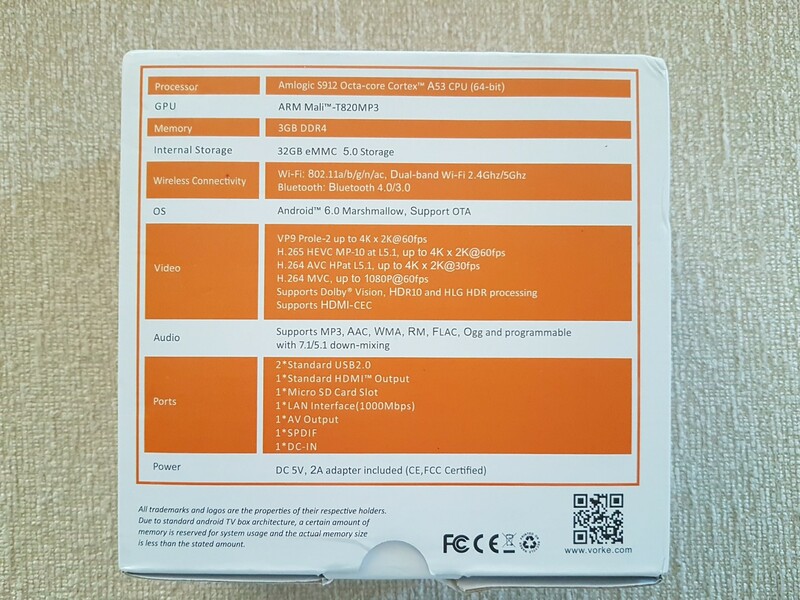 The Amlogic S912 8-core CPU with Mali T820 GPU promise fast processing and 4K / HDR compatibility. I/Os feature 2 x USB 2.0, 1 x S/PDIF out, HDMI 2.0 (4K and HDR support), SD slot (up to 32GB) and A/V out. You will also find a reset button. For wired network connections an RJ45 with Gigabit LAN is the best available option and the same can be said for wireless connections with dual band Wi-Fi AC and BT 4.0. Vorke Z1 has a simple but attractive design. Small, rectangular with no extravagant lines or forms. It is black in color and there is a light blue LED on top when it is on that transforms into a pink one when off/stand by. Quality is great although it is not based on an aluminum chassis. 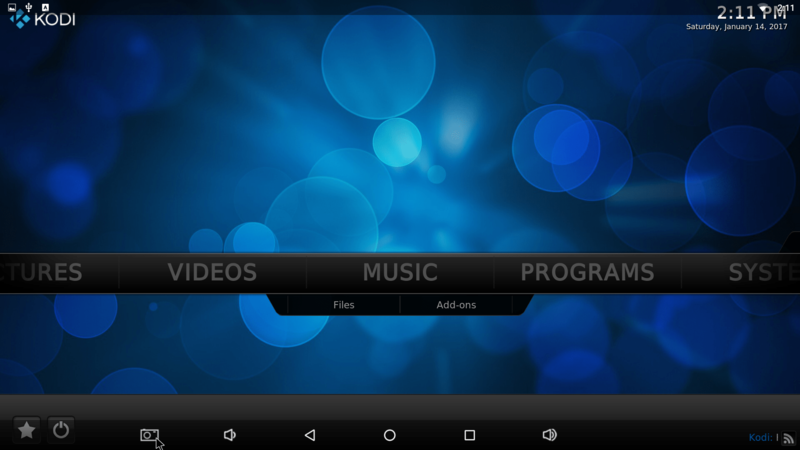 Its plastic build is one of the best we encountered as far as media boxes are concerned. All the USB ports are on the side so you will have to find a way to hide your cables if your media are located inside HDD’s. 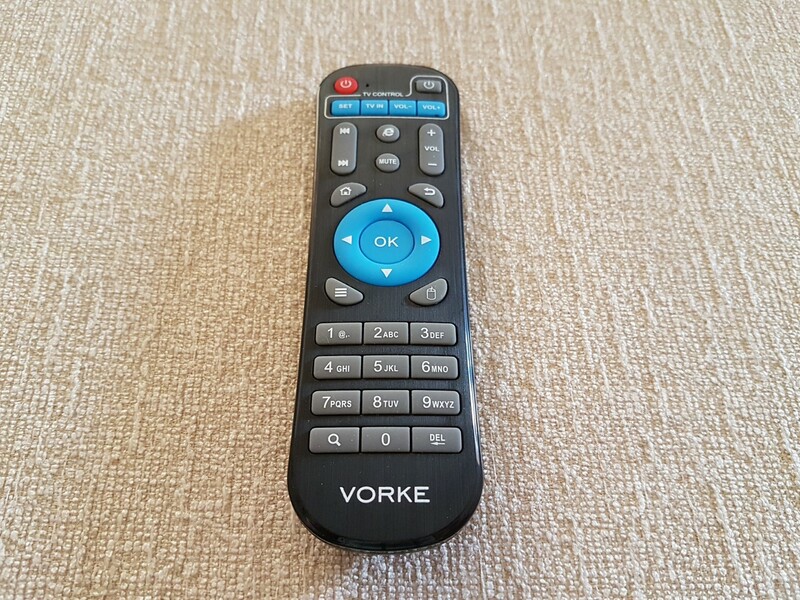 The remote is typical, made of plastic and we have seen it before in other brands. 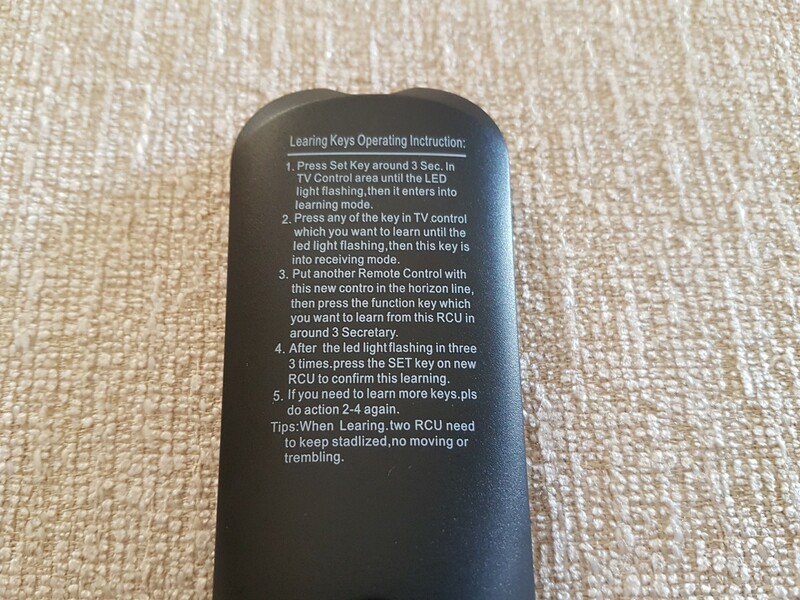 It also sports learning options with the procedure being on the back of the remote. Fortunately, a numeric keypad is present. After an almost minute long boot the main menu appears. It is exactly the same as the one found in the MK808B Pro dongle and the MXiii-G2 media boxes. 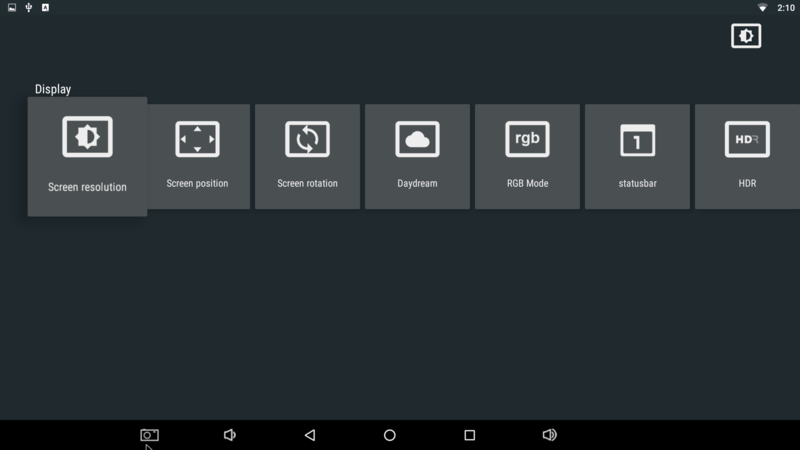 The settings menu is the classic grey one we find in all modern media boxes. 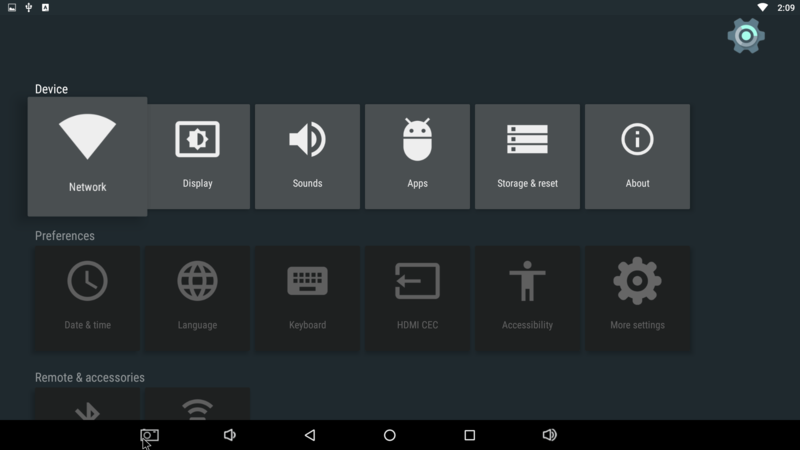 You will be able to configure your media box in no time according to your setup. As expected, audio files (mp3/FLAC) proved to be an easy task for Vorke Z1. 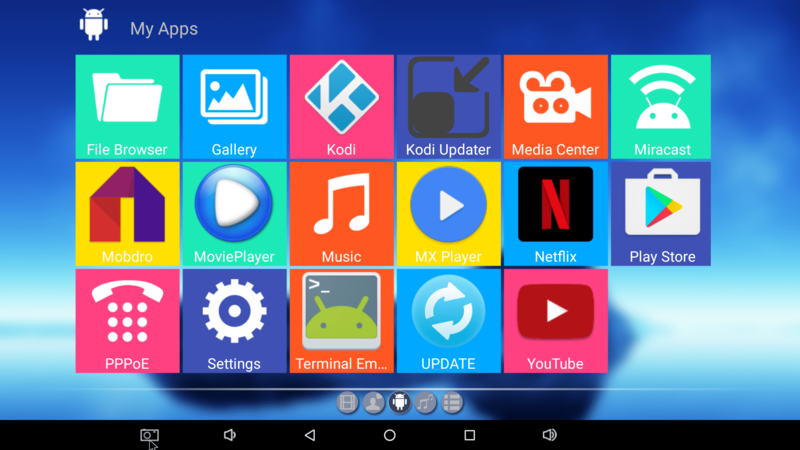 That is the case with all modern media players these days due to enhanced compatibility and performance from the latest SoCs. 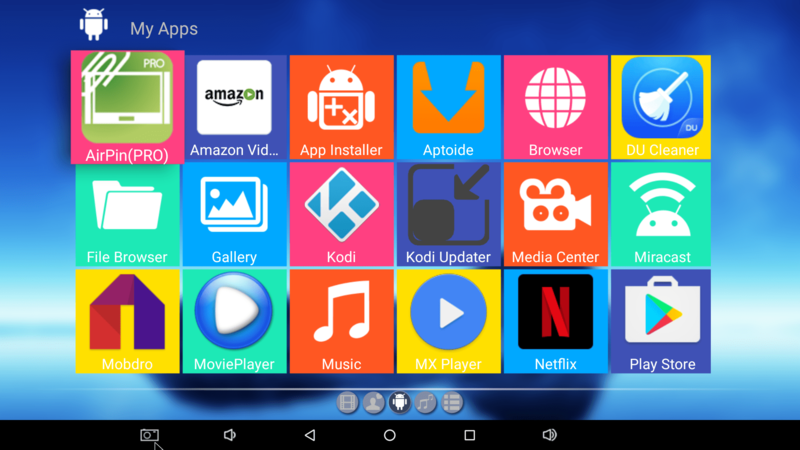 Video wise, Vorke Z1 performed admirably through KODI 16.1 (don’t expect “add-ons”, nothing extra is pre-installed). 4K proved to be an easy task for the majority of encodings. Only some rare files (10bit, HECV @60fps) had issues during playback. All “popular” ones had perfect playback. Once more, S912 SoC proved to be very powerful for 1080p playback. Every file we tested, from a simple WEB-DL to BD.ISO was an easy task for the Vorke Z1. Regarding audio bit-streaming, DD/DTS pass through had no issues but HD-Audio was a no-go (PCM and DTS core was the result in cases of True-HD and DTS HD Master Audio respectively). Many other Wi-Fi AC based media boxes could stream full BD remuxes from the server room to my living room, but this one was the first that handled the same task with the doors closed (2 doors and walls away). A perfect streamer, just make sure your access point is up to the task (ours is Netgear EX7000). Wired performance was perfect as expected for a Gigabit LAN as far as 4K / Full BD.ISO is concerned. 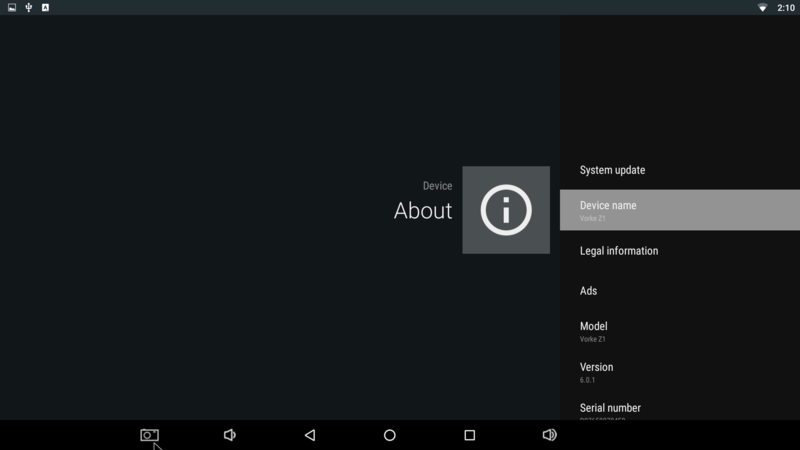 Vorke chose Android version 6.0 for the Z1 model. 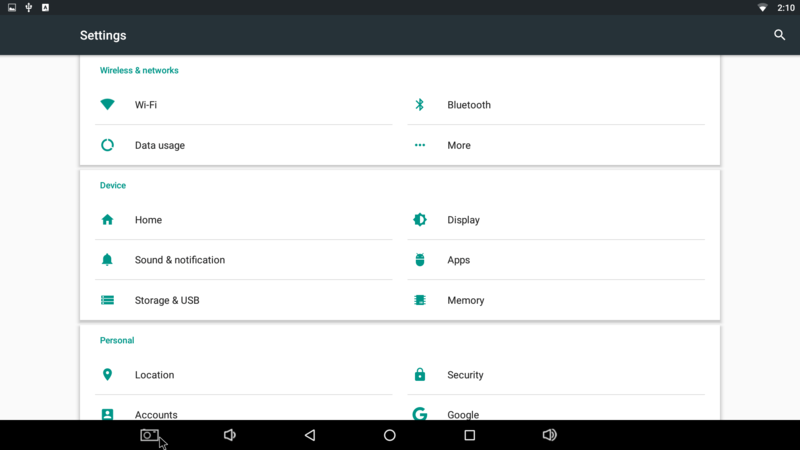 Google’s suite is evident with the user having the option to install any compatible application or game from Play Store. 3GB of DDR4 RAM help a bit with 3d textures and Vorke Z1 proved to be a solid performer even for demanding games. 32GB of fast eMMC ROM will let you install a large number of applications and games before the ~27GB of free space run out. 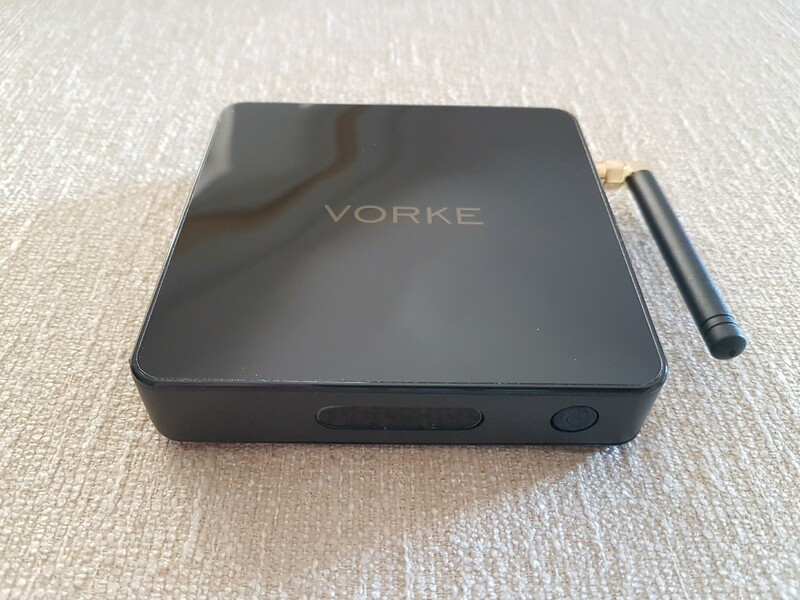 Vorke Z1 belongs to the new “enhanced” generation of S912 based players sporting 3GB of fast RAM, extra ROM and a blazing fast Wi-Fi AC mode. 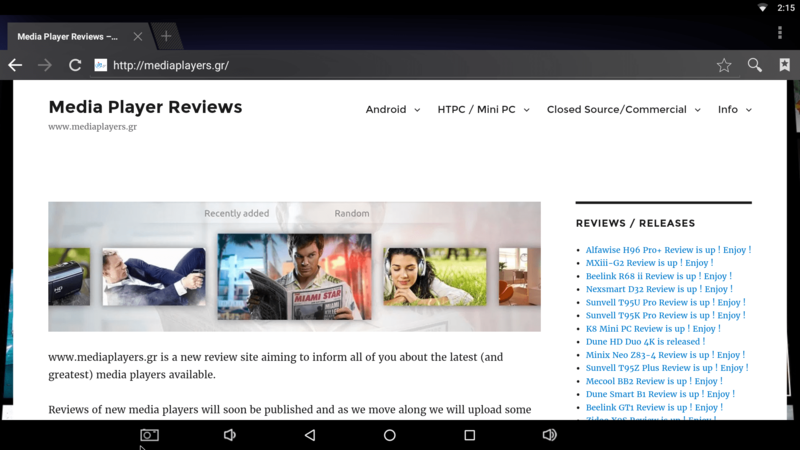 All of the aforementioned eventually end up providing an even better overall experience for the owner compared to the “simple”versions (usually sporting 2GB RAM / 16GB ROM). Good news is that the extra performance comes in a regular price. 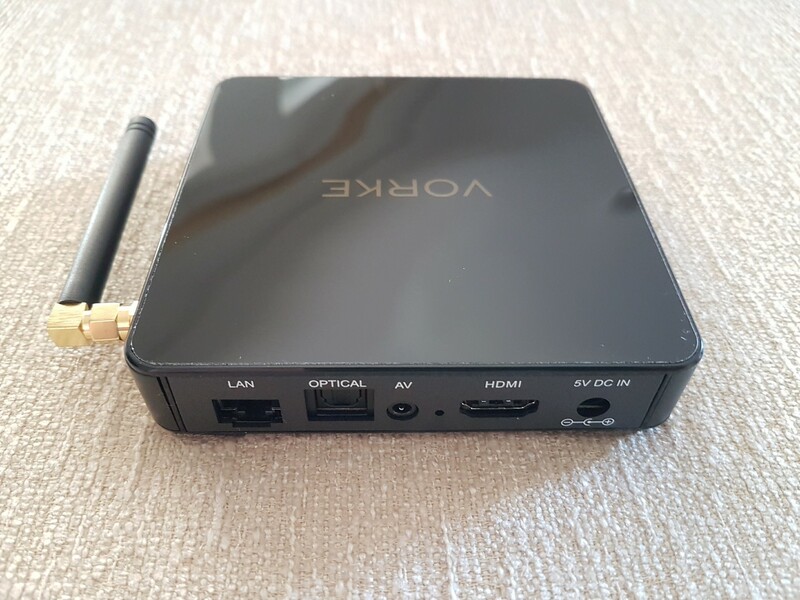 With less than 80$ you can buy one of the best android media boxes out there (probably with the best Wi-Fi performance too).